Jony Ive creates objects that end up in the hands of hundreds of millions of people. But for his latest trick—a RED charity auction at Sotheby's tomorrow afternoon—he and designer Marc Newson are offering up something else: The one-of-a-kind. The best way to describe the Sotheby's auction is this: Imagine if you—and your bottomless bank account—invited Ive to be your personal shopper. "Go wild, Jony," you'd rakishly say, "I want people to see me as a billionaire with a flair for space history and mid-century design." That's the essence of what will go on the block tomorrow afternoon, in a charity auction whose proceeds will go to Bono's Product RED project, aimed at eliminating HIV/AIDS in Africa. So what wonders are going to the block? There's a classic Russian cosmonaut space suit, worn last in 1990 (starting at $50,000). And a thermal window from the US Space Shuttle, with its own Ive-designed stand (starting at $100,000). Meanwhile, the $100,000 Hermès riding saddle and a $15,000 bottle of Dom are only fitting at an auction targeting the super-wealthy. 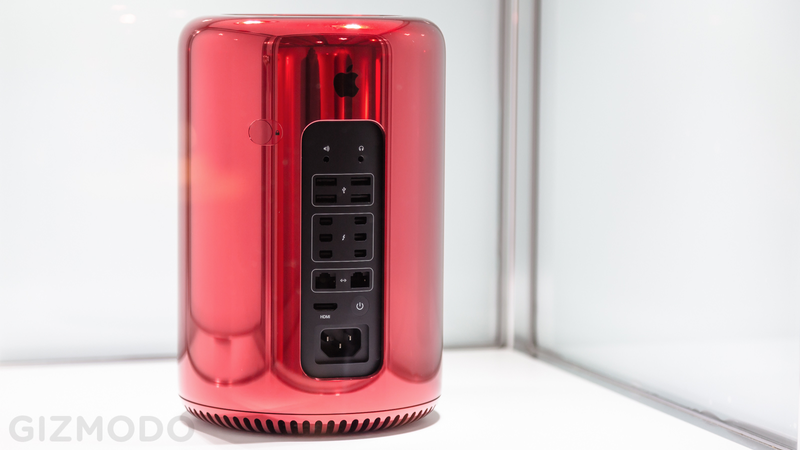 As are the Apple products on the list, which have been "customized" by Ive—including a rose gold-plated pair of earpods (starting at $20,000) and a red Mac Pro (starting at $40,000). All of which looks almost ironically gauche next to the incredible design lots on the list. Whatever disgust you might feel about the champagne bottle, it melts away in the face of the treasure trove Ive and Newson have assembled here. For example, a mint-condition Dieter Rams acoustic system—an Ive favorite—will start at $10,000. As well as a classic red typewriter designed by Memphis Group member Ettore Sottsass. A marble-and-aluminum lamp from Italian brothers Achille and Pier Giacomo Castiglioni is also up for sale. There's an incredible Cinelli track bike, an Airstream trailer, an exact replica of the scooter from Quadrophenia, and a Fiat Jolly, t0o. It's as though Ive and Newson curated their own museum of 20th century product design. And in a way, it gives us a glimpse into their own creative processes. Last week, we heard about the iPad design process, which required thousands of hours of work on mind-numbingly banal details and endless prototyping—all to create perfectly simple, functional object. It makes sense that the objects Ive and Newson would select are each so deeply simple in its own way. "You know, simplicity is so complex in itself," Newson said to Charlie Rose last night. To which Ive later added: "The only way you can do that is to care, you know, to an extraordinary level." I'll leave you to meditate on that—as well as the following inscrutable photo, which shows Ive, Newson, and Bono packed into the Fiat on view at Sotheby's yesterday afternoon. All images by Nick Stango, except for the one above, which is courtesy of RED. If you're hankering for more, check out these action shots taken by Don Lehman.